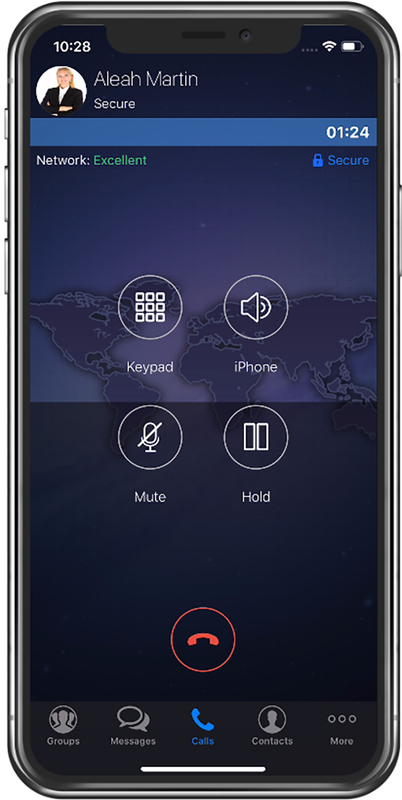 SecureVoice™ and reliable voice management that captures all incoming and outgoing calls made on the app and provides audio recordings to help meet compliance needs. Speed business transactions and communications through SecureSMS™ knowing messages are encrypted and archived for eDiscovery. Create groups that you regularly communicate with and have the ability to broadcast important messages instantly. In addition to the mobile app, users may also send secure messages and calls via the online desktop. As regulations continue to evolve, have peace of mind that your organization is able to manage, preserve and extract mobile business data from employee devices when required. CellTrust experts help to deliver a range of comprehensive mobile strategies that support BYOD, COPE, COBO and mixed mobile deployments that are tied to business process optimization. The organization controls the Mobile Business Number (MBN) assigned to the device. If an employee leaves, the business number and associated business contacts stay with the organization. If a user has not authorized personal data to be wiped, the business could face liability. CellTrust SL2’s dual persona technology enables selective wiping, ensuring that only the business data is deleted. CellTrust SL2™ lets you know what data is collected, when, where it is stored and when it’s destroyed–all of which hits squarely on retention, archiving, eDiscovery and regulatory audits. Benefit from a unified, search-ready repository supporting eDiscovery, eSurveillance and policy-based compliance and supervision across all mobile business communications. CellTrust SL2™ supports protected mobile communication that allows for auditing, reporting and compliance for internal and external mobile communications. Together with our partners across the mobile communications compliance ecosystem, we deliver an integrated approach to help our customers solve business-critical issues while complying with industry regulations. Discover how you can leverage our core products, enhance and extend our service offerings and decrease cost and time-to-market through our extensive partner network. CellTrust is a global leader in enterprise mobile communications compliance enforcement and security for highly regulated industries such as financial services, government and healthcare. We are looking for driven individuals who are passionate about technology, communications, and the opportunity to transform an industry. If this sounds like you, we want to talk to you.